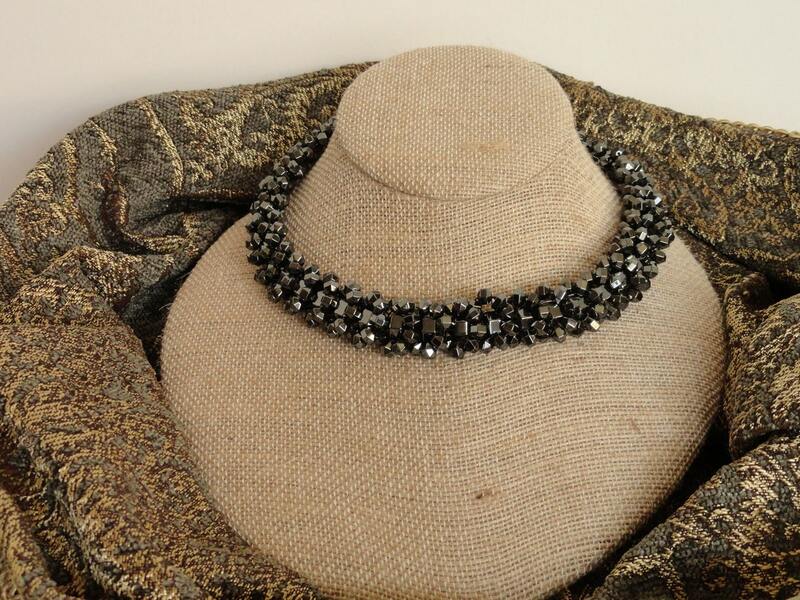 Facets of light reflect off the hematite used in this necklace with the versatility to wear for work, a special occasion, or just with jeans. 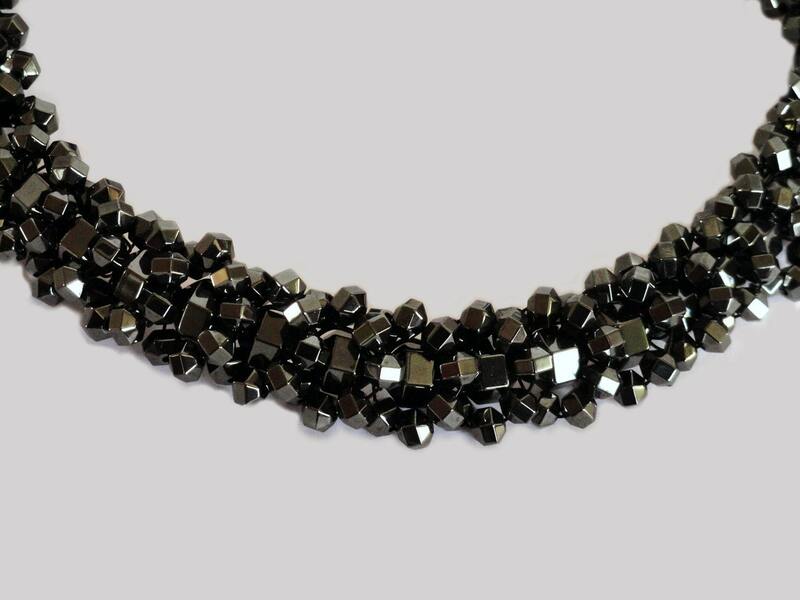 Hematite is mined as a main ore of iron and has a shiny black exterior. 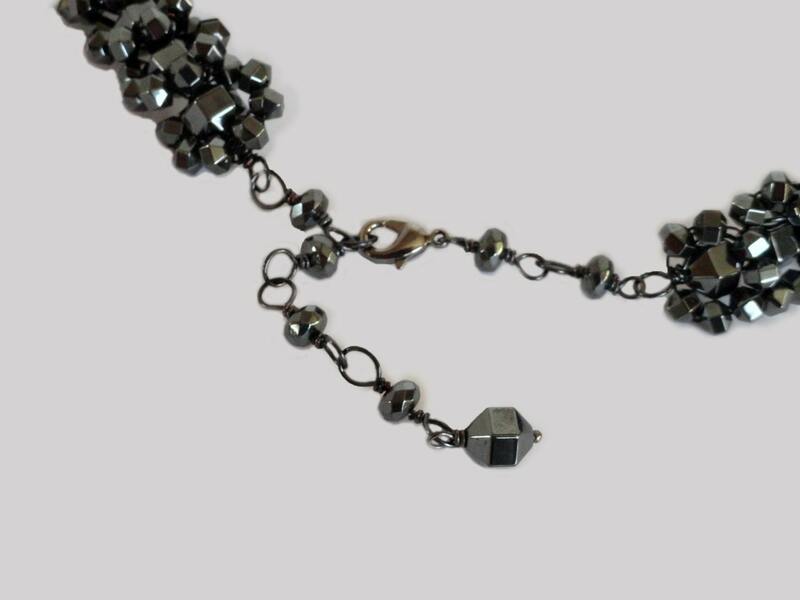 This design is a wire-wrap technique of a strand of 8mm hematite faceted beads surrounded by a circle of 4mm beads and can be gently shaped to fit your neck. 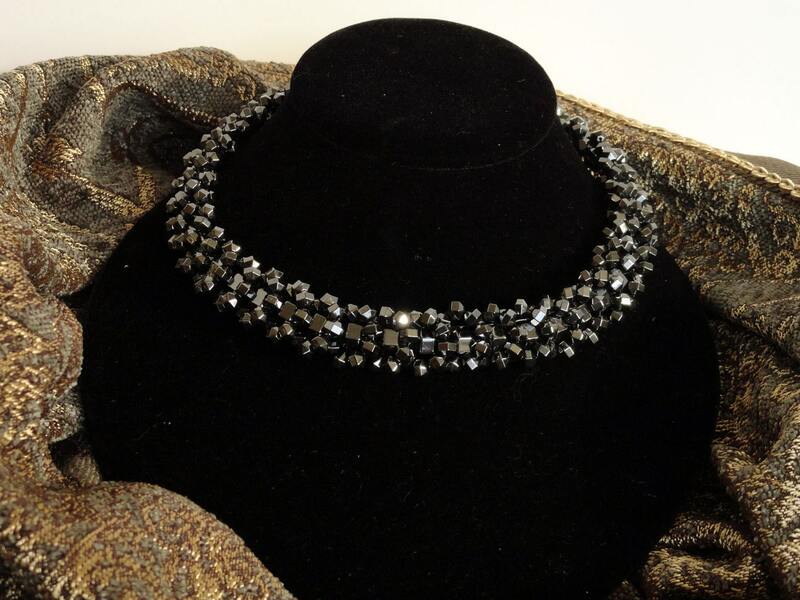 The necklace is finished by an extention strand of beads with a lobster clasp so the necklace can be lengthened or shortened as desired.